From Lac Retaud start by going once around the lake and then follow the path towards La Marnèche. After about 300 metres branch off to the right, taking the path which goes above Lac Retaud. At the next fork, head towards Le Rard and then continue towards Col du Pillon. Before the pass, go up the pasture to come back to Lake Retaud. 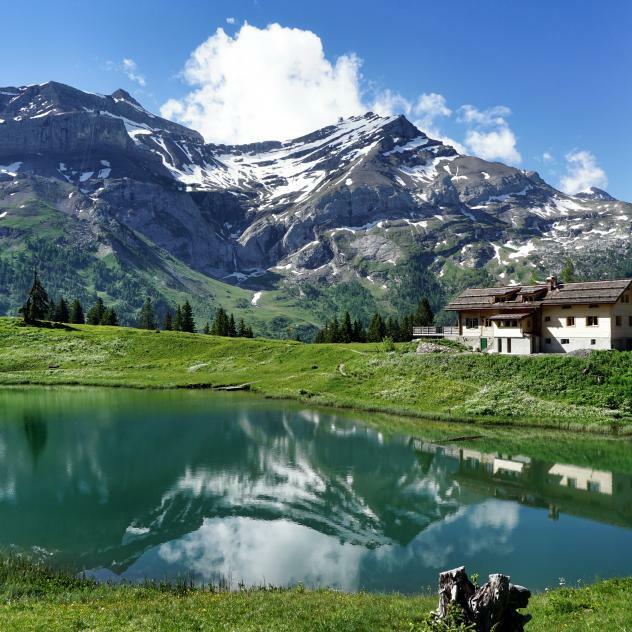 By postbus from the Diablerets railway station to Col du Pillon then by Diablobus from the Col du Pillon to Lac Retaud (during Free Access Card periods). Lac Retaud can also be reached from the village on foot or by car. Free parking at the Col du Pillon and Lac Retaud.